Portnoy, Sheehan, MacAlpine, Sherinian in Concert! 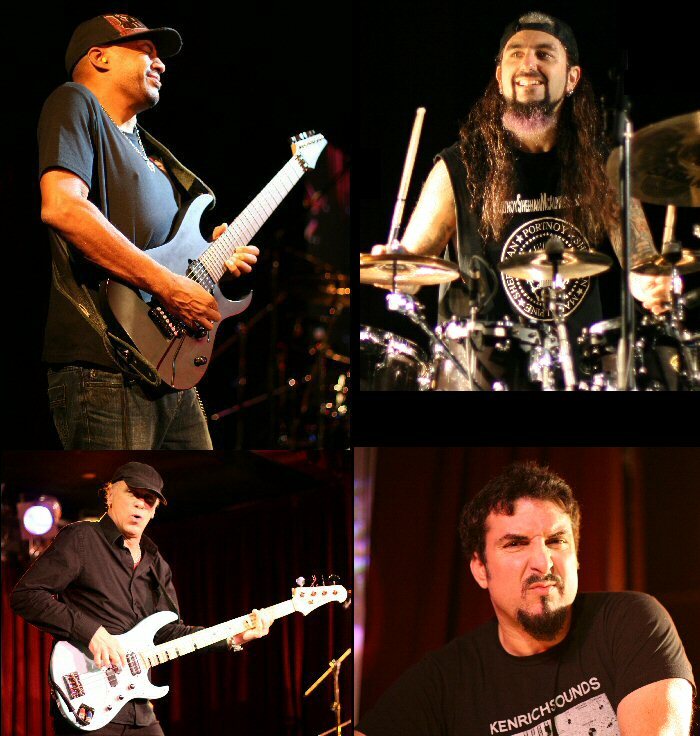 Mike Portnoy, Billy Sheehan, Tony MacAlpine and Derek Sherinian are an "amazing union". While that's not their band name - it is a fact. Following a globe-trotting whirlwind that brought them to points in Europe, Israel, Indonesia and the Far East the band touched down in New York for their final show of the year at the B.B. King Blues Club & Grill on November 18, 2012 and brought much needed musical relief to a city still reeling from the effects of Hurricane Sandy. PSMS is an alliance of four talented and technical musicians who are each masters of their craft. 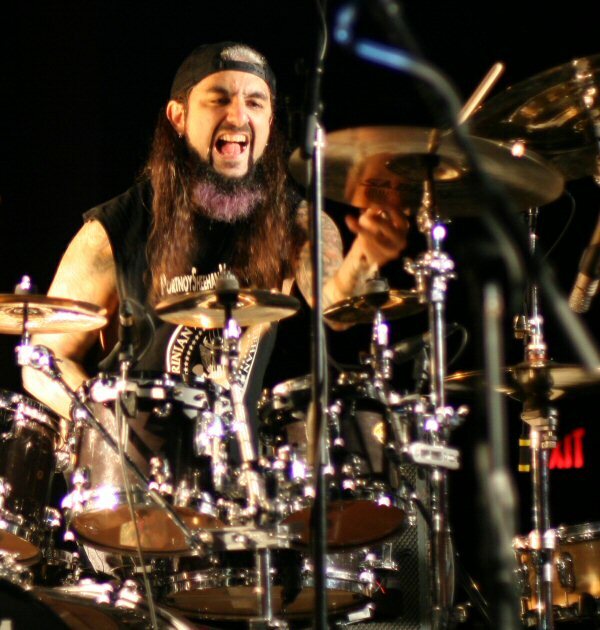 Mike Portnoy is an award winning drummer who has been recognized by Modern Drummer Magazine 26 times. Billy Sheehan has received the title of "Best Rock Bass Player" by the readers of Guitar Player Magazine on five occasions. 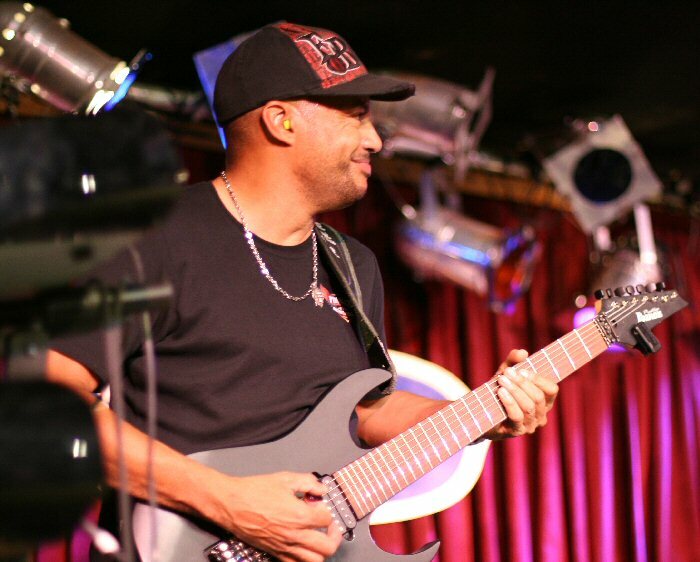 Tony MacAlpine is a composer and guitarist who is well respected for his solo work and numerous collaborations. 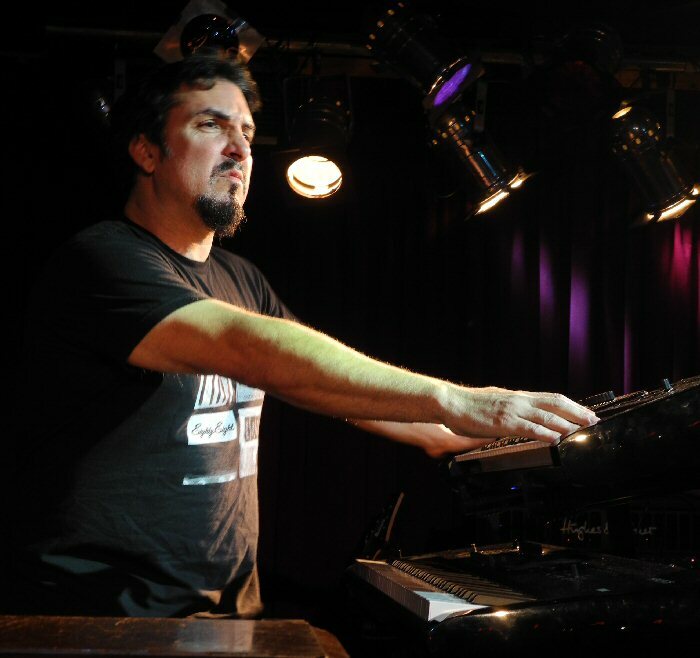 Keyboardist Derek Sherinian has made a name for himself by playing a wide range of styles that includes an aggressive "guitaristic" approach to the ivories. Although this grouping is new it is in some ways also a reunion. Billy and Tony have worked together in the past and Derek was in Dream Theater with Mike for about four years. Prior to the concert Portnoy tweeted that "after almost 100 shows with 8 different bands/events in 2012, tonight is my last show of 2012". We can only hope that after a pause to catch his breath the in-demand drummer will reunite with these players for another project in the future. Mike Portnoy of PSMS on stage in New York City. The venue was dark as the musicians took the stage and we heard the distinctive opening notes to dare we hope Dream Theater's "A Change of Seasons". They played a portion of the epic before it poured into Liquid Tensions Experiment's "Acid Rain". The piece was a torrent of fast paced tempos played with daunting dexterity. "Home Sweet Home," greeted Mike who was also the emcee of the evening. He introduced the next song "The Stranger" from Tony MacAlpine's first solo record - the renowned shredding album Edge of Insanity (1986). The track was a spectrum of speeds and sounds that at times gave one the impression of running along with the rapid riffs and rhythms. 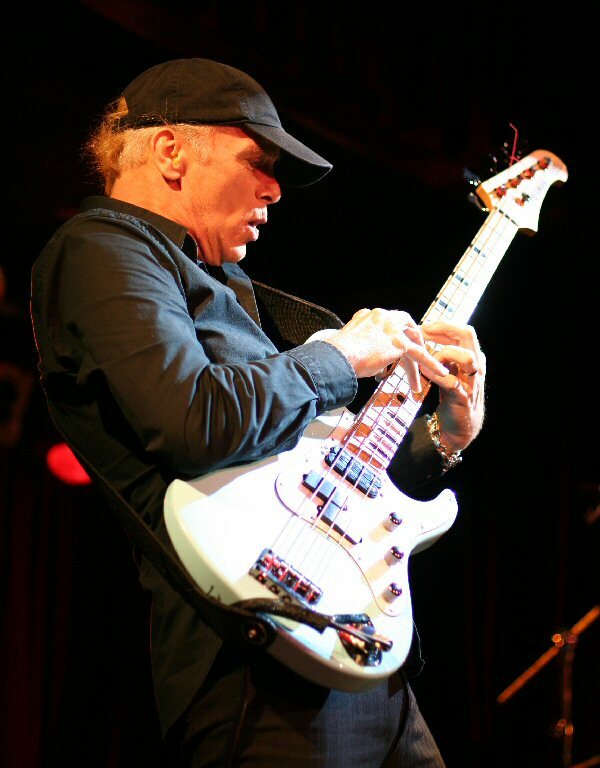 Billy Sheehan of PSMS on stage in New York City. PSMS continued through their dynamic instrumental deluge with a few breaks for Portnoy to chat with the crowd. He joked and warned the fans close to his drum kit that they were in the "spit zone". The PSMS jams were electrifying and expansive allowing each player to solo and showcase their wide range of skills. One of many high points in Sunday's set was "Atlantis: Part 1: Apocalypse 1470 B.B." from Derek's first solo project Planet X (1999). Like its name the composition was complex with many changes amplified by a heavy undercurrent. Tony MacAlpine of PSMS on stage in New York City. "After that insanity we'll turn the stage over to Tony," said Mike. MacAlpine armed with his axe walked to the edge of the stage and performed a magical multi-layered piece with metal elements. Sherinian added atmospheric keys as Tony soared on his solos. Afterwards, Portnoy shared that in his days at Berklee "he and two other guys from the old act played covers by both Billy and Tony" stating that it was "an honor to be on stage with these guys". The four jammed and Billy took center stage blazing on his bass utilizing an array of techniques from fast strumming to something that looked like his fingers were walking up and down the thick strings of his instrument. Sheehan was animated in both his movements and playing and he was a joy to watch. The band continued to jam at lighting speed as Derek alternated between his B3 and stack of keyboards. They moved into a cover of Jeff Beck's "The Pump" allowing Tony ample opportunity to strut is fluid and forceful fret work. Derek Sherinian of PSMS on stage in New York City. The tempest continued as Sherinian took the lead on "Nightmare Cinema" conjuring up a sequence of notes and nuances. The others joined in and the music blend into a combination of Dream Theater tracks and more potent progressions before bringing the set to a close. For the encore, Billy sang "Shy Boy" a Talas cover that erupted with energy. He ended the song and show by allowing fans to play a few notes on his bass. The concert showcased career highlights from all four members. The quartet was technical and tight and collectively PSMS took B.B. Kings by storm! PSMS is an amazing union of incredibly talented prog and hard rock heroes.